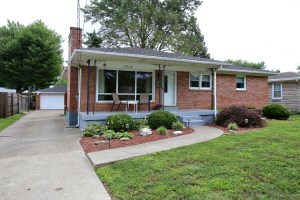 7917 Poinsettia Dr Louisville KY 40258 is a lovely three bedroom ranch in Louisville. The inviting front porch welcomes guests into a comfortable Living Room with hardwood flooring, decorative chair rail, wood burning fireplace, and a picture window! 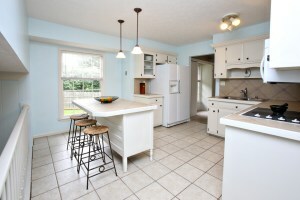 The Kitchen showcases a newer stove & hood (2012), plentiful cabinetry, and dining area. You'll love the good sized bedrooms (two of which have hardwood flooring). There is a full bath on the main level and another in the Basement. 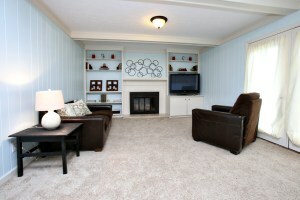 The basement also includes an attractive multi purpose room & Family Room, each with with chair rail & crown molding. The multi purpose room would be the perfect spot for a home office, recreation room, or play room! 7917 Poinsettia Dr Louisville KY 40258 has a fully fenced level yard with a relaxing deck and a two car detached garage. The HVAC was replaced in 2012 and the water heater in 2014. There are also newer tilt in windows for easy cleaning. What a wonderful home! Call 502-371-1173 and one of our agents will be glad to speak with you about the home and the Louisville Real Estate market, or visit the property link above for additional photos and property details. 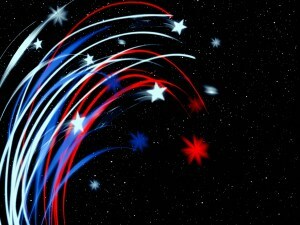 Now that you have a little bit of knowledge and history about Independence Day, head over to one of these Louisville area events to let everyone else know! Make your reservations now to watch the fireworks from the sea. Or in this case, the Ohio River. You can also celebrate this event with the Belle on July 3rd. This is a great free event to take the whole family to. Food will be served, rides and activities will also be available for the kids to enjoy. Take exit 117 and enjoy! 100 artist booths. 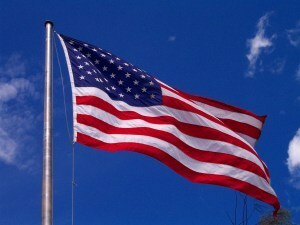 Music, antique car show, food court, silent auction, children's fun area, silent auction, fireworks on the 4th! Louisville will be playing Indianapolis at Slugger Stadium on July 3rd at 6:45pm. This game will have special fireworks at the end in honor of Independence Day. Take a step back and time and feel like you are the 1776 signing of the Declaration of Independence at Locust Grove this 4th. Bring a picnic and enjoy Children's activities and living history demonstrations, house tours, exhibit gallery, and more! Locust Grove will also be selling desserts and drinks. At Home In Louisville Real Estate Group welcomes you to join us for an Open House in Louisville this Sunday June 29th from 2-4pm! Visit 7917 Poinsettia Dr, a lovely 3 Bedroom ranch with cheerful front porch! You'll love the good sized bedrooms, hardwood floors, basement, and fenced in yard! Call 502-371-1173 for further information or join us this Sunday! Join At Home In Louisville Real Estate Group This Sunday June 22nd from 2-4pm at two wonderful Open Houses in Louisville! Our agents will be on hand for you tour the homes and answer any questions. Click on the photos below for additional property details or call 502-371-1173 for further information. 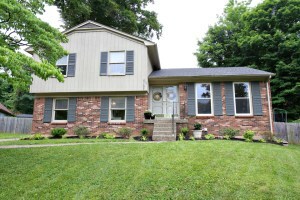 5107 Volney Ct Louisville KY 40291 is a lovely four bedroom home on a quiet cul-de-sac in Fern Hill subdivision! The welcoming foyer opens to a pleasant Living Room (currently used as a Dining Room). The Dining Room is serving as a pretty music room and includes two good sized built in storage units. 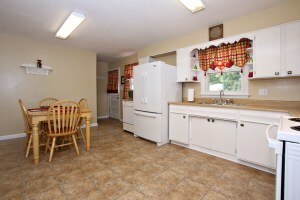 The sunlit Kitchen showcases abundant cabinet space, breakfast island, and tile back splash. 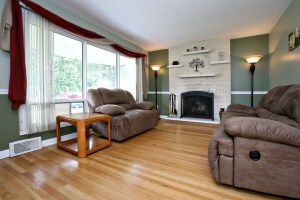 The Family Room is cozy with a corner bench, built in book shelves, and wood burning fireplace. One Bedroom & a Full Bath are located on the lower level with three more Bedrooms and another Full Bath upstairs. The Basement includes a welcoming Family Room & Laundry Room. 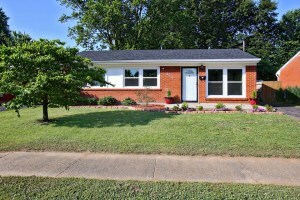 5107 Volney Ct Louisville KY 40291 also has a huge fenced in yard with patio and storage shed! For more information about this property or other Homes In Louisville, call 502-371-1173 today. It’s hard to believe school is almost out for the year! Before you know it the warm days of summer will be here. Many parents and children in the area enjoy getting involved with various Summer Camps in Louisville. If you’re looking for some fun camp opportunities for your kids this summer, check out just a few of the multitude of Louisville options below (in no particular order)! 1) EP Tom Sawyer State Park offers two types of summer camps through the month of July and part of August from 9am-4pm. There is an Adventure Camp which includes hiking, archery, and geocaching as well as a Co-ed Sports Camp featuring archery, badmitton, and other sports. Camps are $110 per child per week with $10 off if you register two children or enroll in both E.P. Tom Sawyer State Park Summer Camps. Check out the link above for additional information or call 502-429-7270 for enrollment information. 2) Jefferson Memorial Forest offers a variety of camp options from mid June through the beginning of August from 9am-4pm. Sessions run for one week with activities including crafts, nature, science, games, hikes, and forest education depending on the camp of choice. Pricing ranges from $110 to $195 for the week. 3) YMCA of Greater Louisville offers a broad range of summer camps with over 30 locations across Jefferson, Bullitt, and Oldham County! YMCA Camps are open from early in the morning until evening hours with a multitude of activities including but not limited to swimming, singing, arts and crafts, outdoor fun, sports, bike riding, reading, and field trips! Pricing generally ranges from $130-$160 dollars a week. The YMCA also offers an overnight camp called Camp Piomingo in Brandenburg, KY. The camp has a 125 acre campus and offers vast activities. See the above links for additional information about day camps and overnight camp through the YMCA..
4) JCC- Jewish Community Center Summer Camps are a great option for Louisville kids. 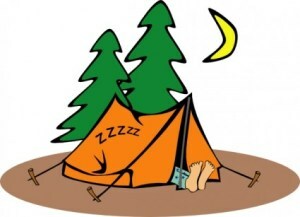 The JCC offers camping opportunities throughout the year. Summer Camp options are diverse with hours from 9am until 1, 3, or 6pm. A few of the numerous speciality camp options include sports, science, musical theatre, art, dance, horseback, and more! Day campers will have the opportunity to swim, play sports, participate in arts and crafts, and attend a variety of area field trips depending on the week chosen. See the above link for additional information and a detailed brochure. 5) Hwang's Martial Arts Summer Camp open from 7:30am-6pm provides daily martial arts lessons as well as a variety of area field trips. This is a great way for kids to stay active during the summer months, make friends, and see some of the Louisville attractions.